One of the best players in curling history, and one of the game’s most prominent behind-the-scenes supporters comprise this year’s list of inductees to the Canadian Curling Hall of Fame. 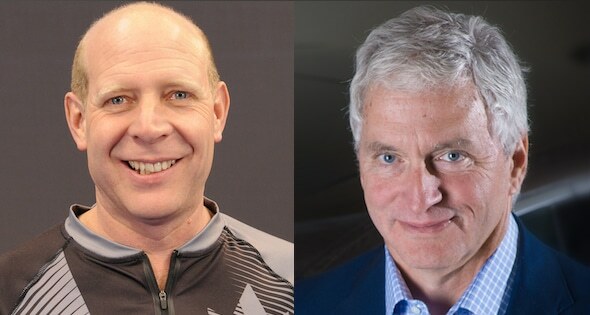 Kevin Martin, left, and George Cooke are being inducted into the Canadian Curling Hall of Fame. 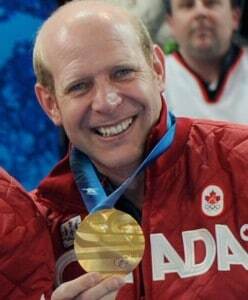 Kevin Martin, a three-time Olympian who won gold at the 2010 Winter Olympics in Vancouver and silver in 2002 at Salt Lake City, will be joined by former Dominion Insurance Chief Executive Officer George Cooke when the Class of 2014 is formally inducted at the CCA Hall of Fame and Awards Gala on Aug. 26 in Niagara Falls Ont. Martin, who announced his retirement from competitive curling in April, also won four Brier titles — tied with Ernie Richardson and Randy Ferbey for the most as a skip — in addition to capturing a record 12 Alberta men’s championships. 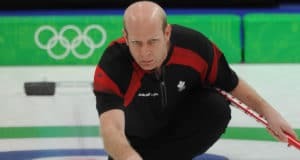 In his four trips to the World Men’s Curling Championship, he won gold in 2008 at Grand Forks, N.D., and silver in 1991 at Winnipeg and 2009 at Moncton, N.B. His 1991 Brier victory also earned him his first of three trips to the Winter Olympics, as he skipped Team Canada at the 1992 Winter Games in Albertville, France, where curling was a demonstration sport. 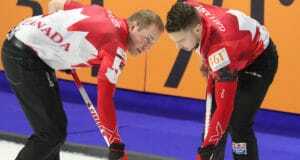 Additionally, Martin won a record 18 events on the World Curling Tour Grand Slam series, including his career-capping victory last month at the Players’ Championship in Summerside, P.E.I. Cooke’s passion for curling, meanwhile, goes far beyond his longtime participation at the club level. As the CEO of The Dominion of Canada General Insurance Company (now known as Travelers Canada), he was the driving force behind the creation in 2009 of the highly successful Dominion Curling Club Championship (now the Travelers Curling Club Championship), aimed at giving club-level curlers a chance to compete for a national title. In fact, as a member of the reigning club men’s champions at his home club — the Donalda Club in Toronto — he will compete in the Travelers Curling Club Championship playdowns this fall. 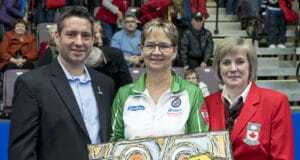 As well, The Dominion was active in other areas of curling, including youth camps, partnerships with the CCA’s Member Associations and sponsorships of high-performance curling teams. 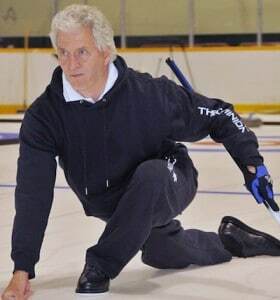 Cooke is an active member of the Donalda Club, where he coaches for Crestwood Preparatory College (he will be coaching his daughter’s competitive junior team this coming season), and also is vice-president of the Toronto Curling Association. The CCA Hall of Fame and Awards Gala will be staged during the inaugural Canadian Curling Association Summit, beginning Aug. 24 in Niagara Falls.